Making the fabled MBA ‘triple-jump’ is no mean feat. Even with an MBA from a world-class institution behind you, successfully achieving a change in industry, role, and location is a challenge—but the massive rewards in store mean that it’s something that many MBA applicants still aim for. For Ricardo Bielma, who graduated with an MBA from IE Business School in 2017, making the triple jump was the reason he wanted to go to business school in the first place. 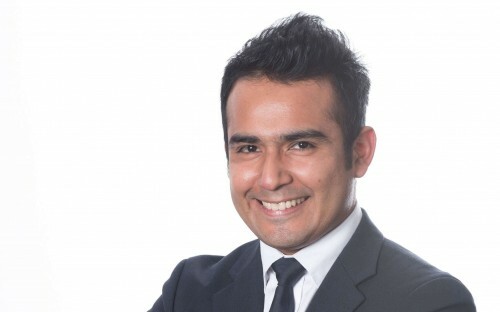 Ricardo had been working in capital projects at Samsung Engineering in Mexico since 2005, and after such a long time in one industry was concerned that it would be even more difficult for him to make a career transition. “The only way to achieve my goal was to equip myself with the skills needed for a career move and to bind them with the skills already gained while working at Samsung,” he says. He chose IE Business School for its high position in international rankings—ranked eighth in Europe by The Economist—and its reputation for entrepreneurship and data analytics training, which he believed would equip him with the innovative thinking he’d need to succeed across industries. Now, two years on from putting in his application, it seems that he was right. Ricardo now works in reverse logistics for e-commerce behemoth Amazon at their offices in Spain—an opportunity he got through the careers services at IE Business School. “Prior to joining IE, I had my eyes on Amazon since it’s a company that’s growing and has had a major impact on the relatively young e-commerce industry,” Ricardo recalls. Ricardo put in his application to Amazon’s Pathways Internship program, and has gone from strength to strength since joining the company. He believes that the training he received on his MBA has been key to his success at Amazon. “Thanks to the soft skill courses taken during my MBA, I have been able to overcome many challenges that appear in my current role at Amazon,” Ricardo says. One of the other modules that Ricardo cites as having been useful in his current role include the Managerial Decision Making module, which is one of the core modules of the MBA. But IE also offers less traditional core courses that have aided Ricardo in his role at Amazon—including modules in developing an entrepreneurial mindset and innovation in a digital world. The latter module has come in particularly useful in the growing field of e-commerce, where Ricardo says that integrating human skill with artificial intelligence is a growing concern. The key thing that e-commerce recruiters are always looking for, according to Ricardo, is graduates who are always looking for new ways to innovate and to drive improvement—a key trait that the entrepreneurial and tech-ready atmosphere at IE Business School fosters. Ricardo, for one, feels well-prepared for a future in e-commerce thanks to his MBA. “I think that IE has done a good job in providing me with the mindset and tools to deal with those challenges, combining both the traditional financial and economic courses along with artificial intelligence, machine learning and entrepreneurship,” he says.